← “How To Drive Your Mom Crazy,” By C.J. I still remember the day when I sat in my 7-year-old son’s bedroom and told him that his 9-year-old friend Samuel was no longer a boy, but was now a girl named Sophia. Months later, I sat in the same spot and told him that his 8-year-old friend Riley was no longer a boy, but was now a girl named Anna…..
Read the rest of my post over at Yahoo! Parenting. This entry was posted in All Posts and tagged Gender, gender creative, gender nonconforming, LGBTQ, transgender, Yahoo! Parenting. Bookmark the permalink. I hope you don’t mind I reposted your post on my blog! Amazing post! 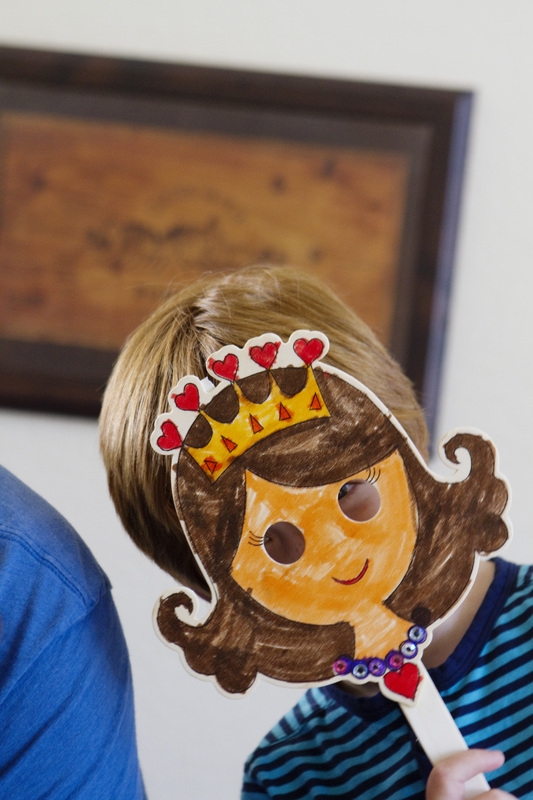 What a lovely story and amazing answers to explain to children about transgender. Fantastic. Sophia has an awesome mummy and is very lucky! This blog makes my day! My husband and I were just recently discussing how to address similar questions when the time comes – my son is only 5 months old, but we have a large number of LGBT and genderqueer friends and family, including his entle – my husband’s non-binary younger sibling. They are planning on taking some steps to physically transition, and I know when my son gets older, he will have questions. Your attitudes mirror mine, but I may have to borrow some words directly, your explanations are so succinct and easy to understand. Sophia and Anna are perfect examples of how and why children need to be taught at an early age that some people, including their classmates/friends/acquaintances, can be different. There is no better time than when they are young because at least then, they will have a more open mind. It isn’t everyone who has the opportunity to know someone who is transgender/gay/lesbian or just different. The sooner they are taught, the better. As usual you have handled potentially difficult conversations with C.J. so well! I am glad you have shared this and can relate to a lot of it. Sorry yahoo commenters are being nasty, definitely don’t read! Lori, you’re a beautiful person and a wonderful mother. I suppose I’m not surprised CJ asked the “boy parts” question. At that age I’d have been curious about that too. Your answer to that, as with everything else, was perfect! I love hearing about how you help both your kids acquire the vocabulary and concepts they need to understand the array of gender possibilities and explain to you who they are. It must be a little disconcerting for CJ to know other “kids-like-him” and then find out that they aren’t exactly like him after all – and for you too, maybe. This reminded me a bit of the time in my life when it seemed that all my friends were suddenly identifying as lesbian. It confused me and angered me because I didn’t know if I could be me and not be lesbian, and I felt like they were abandoning me. Later, of course, I encountered people who identified as bisexual and I had an aha! moment. But I still think that I’m not quite defined by that label and not quite the same way as other people, which is okay. What gets me, is that those commenters are under the impression that it’s shameful and perverted for a boy to feel like a girl, to play with girl things etc. And that a girl who feels like a boy, or is attracted to boy things is a ‘tomboy’ or just goings thru a phase. I saw a woman in target the other day, her and her son were in the toy isle. There was a big bin of beach balls. He wanted the pink one. She outright refused. Because “pink is a girls color.” I wanted to remind her what year it was, and that pink is a color just like any other color damnit. If that had been a girl wanting a blue ball, it wouldn’t have been an issue. Iggy pop once said “I’m not ashamed to dress like a woman, because I don’t think it is shameful to be a woman. Wow. You have no idea how perfectly timed this is for me. There is a child in my daughter’s school who has just announced his transition (born a girl, but identifies as a boy). While she doesn’t have any problem with calling her friend by his new name (Sam) and is totally cool with him dressing/acting/being a boy, she has already asked the genitalia question. Plus, your entire explanation of the gender questions is incredibly helpful to me and I’m sure will be for her. Thank you. I ended up breaking my rule and reading Yahoo comments(they are always filled with ignorance whether that be about LGBTQ or race), I commented with facts and got zero replies not surprising considering they don’t care about the facts just what fits their warped view. Hopefully none of them every have a non binary child. Lori you and your husband are doing an amazing job, to bad not all parents are as supportive as you. I couldn’t let the Yahoo commenters get away with those comments. It really makes me angry. You would think they lived in the 1800’s. I hope Yahoo is just a conservative website and that this isn’t how the majority of how the world feels. That would be actually shocking how many people were so myopic from the comments they made. Even when you educate them, they are incapable of being educated or having compassion. You are my hero, Lori. I pumped into this article and I loved it. I am a 23 year old whose been caught confused about my gender. I regard myself as lesbian but my mind tells me that I more than just that. I have not really explored beyond that. 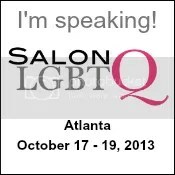 Perhaps it is because of how sexual orientation topics are so a taboo among the community and my family I am from. I don’t walk barefoot through sewers and, I don’t read comment sections for the same reason. Awesome article, Lori, and timely. Our son just turned 8 and we had a meeting with the school yesterday about him going to school in a dress. They were awesome about it, and have committed to introducing some educational modules across the whole school just to underline how everyone is different and everyone is wonderful so that he will have the safest space possible when he does wear a dress to school. CJ’s self-assessment as neither cis- nor transgender resonates strongly with us, as D does seem to live in exactly that same in-between space. You and your family are an inspiration to us. Thank you. You’re amazing. I had to stop reading the comments as well. I will never stop being surprised at the hateful ignorance of people, in this case Yahoo readers. They are the ones who make me sick. You keep being the shining light that you are. I’m so glad you are CJ’s mom and not those people. 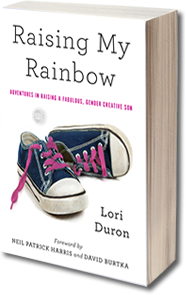 How do you tell a gender creative son that two of his friends are transgender? This is an incredibly healthy and loving way to raise a child. The comments on the article broke my heart. I had to stop reading about five in and hope that Lori didn’t bother reading them. I love how you speak your family’s truth candidly and without apology. You are doing a wonderful thing, being so open about your lives so that others can either learn from you or feel solidarity with you. I’ve nominated you for the Versatile Blogger Award — http://riddlefromthemiddle.com/2015/05/20/woo-hoo-the-versatile-blogger-award/. You don’t need to do anything with this if you don’t want, but I wanted to let others know about your great blog.